Get involved with your local Police Department. 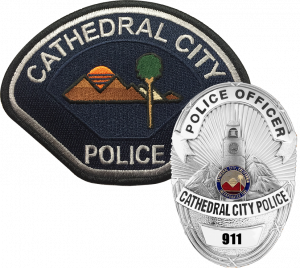 Come join us for an interactive experience in police work. We offer a FREE 8-week Community Police Academy. This 8-week class offers a hands-on approach that enables attendees to better understand the role of the police department in their community. You will learn about various divisions within your police department and volunteer opportunities. 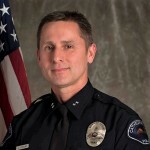 Course topics include Criminal Investigations, Police Communications, Patrol Operations, SWAT, Canine Program, Homeless Liaison, Traffic Enforcement, Volunteer Services, Vice & Narcotics, and RAID Task Force. 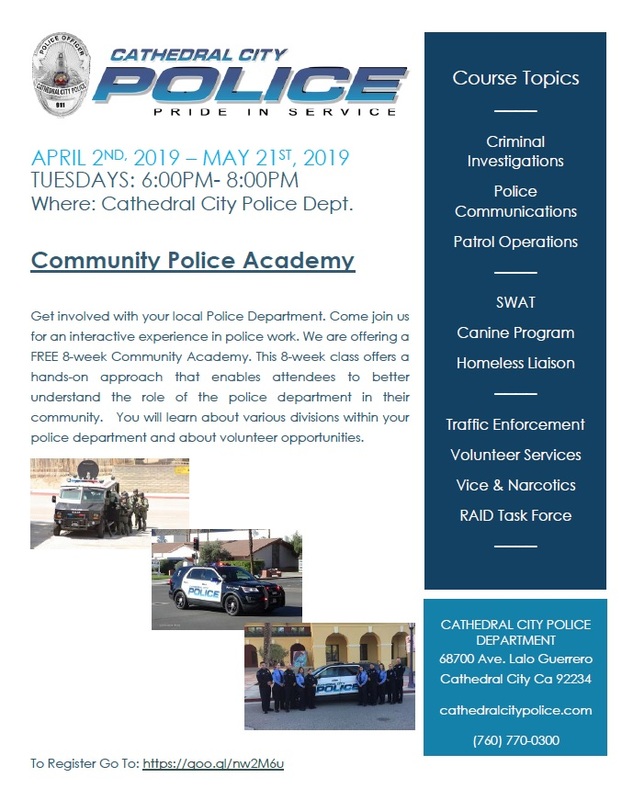 Classes occur once a week every Tuesday from 6 pm to 8 pm starting on Tuesday, April 2, 2019 through Tuesday, May 21, 2019 at the Cathedral City Police Department, 68-700 Avenida Lalo Guerrero. Don’t delay. Once the class is full, registration ends.